The Human Body is the most absolute perfect machine ever invented, yes I said it right, The Human Body it is a machine that has puzzled scientists, historians, physicists and many others throughout history. I just love how the Human Body moves. Movement defines us who we are and if movement becomes impaired we lose a vital quality that is really important to us. Have you Ever stopped to think how do we move? How is it possible to move so well and then become older and become stiffer, losing balance, coordination, motion? Giant historical figures from Aristotle, Galen, Da Vinci, Newton or Galileo have been obsessed with motion, specifically with human motion. Throughout years of history and DNA development movement has been analyzed, improved, documented and well theorized. How did I get involved in this part of human science? I have always been attracted to movement, performance and how our brain interacts with our muscles to make them move in a very well orchestrated manner. 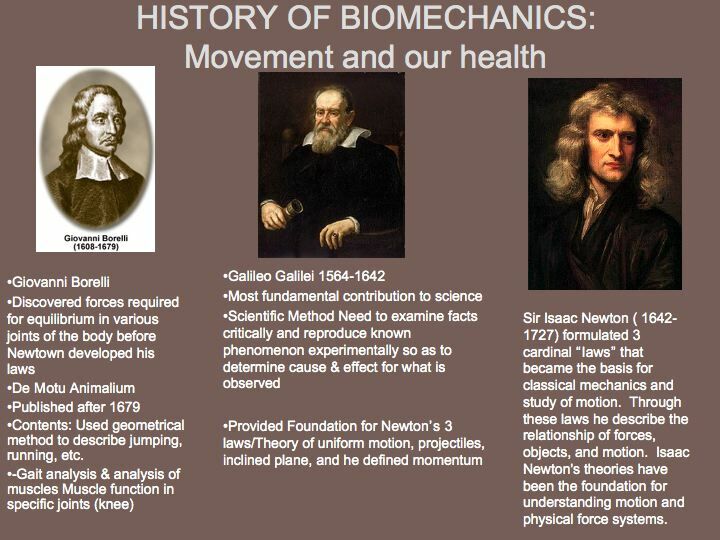 The history of this science goes way back when it come to study movement. Kinesiology is a combination of the Greek for ‘to move’ (kinein) and ‘logos’ (discourse). Kinesiologists – those who discourse on movement-in effect combine anatomy, neuroscience with physiology, the science of function of the body, to produce kinesiology, the science of movement of the body. What is Biomechanics? Biomechanics is the science of movement of a living body, including how muscles, bones, tendons and ligaments work together to produce movement. Galen may have written as many as 600 treatises, amounting to some 10 million words. Then we fast forward several years and we see how Medicine and Science take a really important turn where Science, Religion and Church would be struggling till the existence of the Scientific Method and one of his mos important contributors was Galileo Galilei. 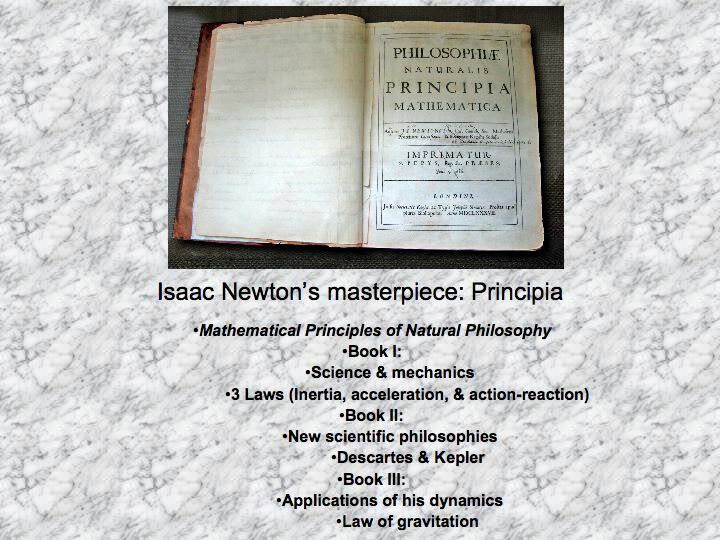 Provided Foundation for Newton’s 3 laws/Theory of uniform motion, projectiles, inclined plane, and he defined momentum. Discovered forces required for equilibrium in various joints of the body before Newtown developed his laws. One of the first men to understand that the levers of the musculoskeletal system magnify motion rather than force De Motu Animalium Published after 1679. He was the first one of using geometrical method to describe jumping, running, flying, swimming, etc. Gait analysis & analysis of muscles. Sir Isaac Newton ( 1642-1727) formulated 3 cardinal “laws” that became the basis for classical mechanics and study of motion. Through these laws he describe the relationship of forces, objects, and motion. Isaac Newton’s theories have been the foundation for understanding motion and physical force systems. 1800 A.D. – 1900 A.D. Measuring methods developed to quantify electrical current during muscular contractions. Gait analysis is fundamental right now since it is used in extensive centers of sports medicine and high performance sports centers. You can see how different centers are applying and perfectioning the study of human locomotion. In other words, It is now more obvious that our bodies are far more connected than we have given them credit for.